Financial education has been left out of the US school system yet experience with money may be the single most important life skill. It's no surprise the US banking system mirrors this unexplainable exclusion. There's math, science, social studies & English in every grade but finance is always absent. The unspoken message is kids are not responsible and capable enough to handle their own money until they finish high school and start learning it on their own. They can't open a bank account until the age of 18 so why teach money in grades K-12? Can you sense the sarcasm? In all fairness financial education is starting to creep in albeit sometimes from third party groups or clubs. It's hard to give this much credit though when money and finance should be right beside math and science. Young people can have a savings account in their name, but they can't make any withdraws. So they are allowed to learn one thing, how to save money. Saving money is one dimensional and without the experience of spending money both carelessly and wisely learning doesn’t take place. Kids are relegated to using cash which is not a bad thing just a limited way to learn. As the Godfather of the cryptocurrency movement, bitcoin shatters the rusty old rail banking model by giving people the gift of choice. A one choice banking model is a NO choice model because you can't choose not to use it. The gift of choice includes the power of being 100% responsible for your own money. Cryptocurrencies don't discriminate based on age like old model banking does. This undervalued benefit is almost never talked about. Bitcoin wallets such as Blockchain.info, Omni wallet and Counterwallet.io are pure self serve no KYC style wallets. The only restriction on age is being old enough to use and understand the technology. It's no problem for the "born with an iPhone in your hand" generation. They can set up a bitcoin wallet and start exchanging value without permission from anyone. What if young people start using cryptocurrency for 10 years before opening a bank account at age 18? They'll think it's a laughable alternative. My 9 and 12-year-old sons have been exposed to bitcoin for 3 years. We had a blast winning the Old to Satoshi video contest in 2014. They aren’t' power users yet, but more importantly they're on the edges of the conversation everyday. I've been thinking about the best way to teach my sons about money for a long time and developed the Magic Money™ system to incentivize their investing. They earn their own money and spend it on as many things as their budget allows while reinvesting in a perpetual system. It's like a modified 3 jar system where they split up cash into save, spend and share jars while magically receiving "tooth fairy-like" interest in a 4th jar. Old rail banking discriminates them from getting a checking account and Visa debit card so their learning is limited. Introducing my sons to precious metals is just another part of their financial education. Sometimes we go to the local coin & stamp shop for a 1oz. silver coin when they hit a notable milestone. They gathered round as I logged into my Vaultoro account and shifted gold back into bitcoin from a previous bitcoin hedge play. I sent bitcoin to my Coinbase account which has a bitcoin spendable Visa card. 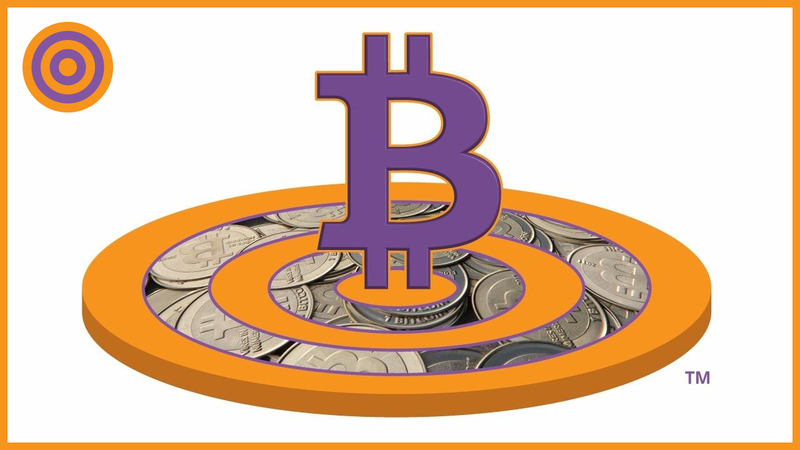 I discussed the merits of bitcoin, gold and silver on the drive to and from the coin shop. It's time to shake up the cash intensive Magic Money™ system with some bitcoin. One son has an iPhone and the other isn’t far behind so it's bitcoin mobile wallet time. I only use cash when I'm forced to and banks are forcing me to teach my sons in cash. Thanks to bitcoin I can leave the Banking Burnout Bonanza™ behind and teach my sons about 21st century money. By the time they open a bank account at age 18 they'll be crypto power users. I can't wait to see their reaction when we drive to the bank on their respective 18th birthdays. I image there'll be lots of snickering and sarcasm. Banks better get with it or their future customers will be heading in the wrong direction. It's funny how Millennials generally don't trust banks and financial institutions. Millennials are smart enough to see the shenanigans but excluded from being a customer from those they don't trust. At least McDonald's knows how to get kids addicted to fast food before they figure out how bad it is for their health. Adults need to understand the power of bitcoin and cryptocurrencies in their own financial lives. There's no better place to start than The Ultimate Bitcoin Business Guide™ in paperback, eBook and audiobook. Everyone knows the fastest way to learn is to teach so teaching your kids about 21st century money is the fastest way for Adults to learn it for themselves. Good luck and stay tuned to The Ultimate Bitcoin Business Blog™ to learn more.